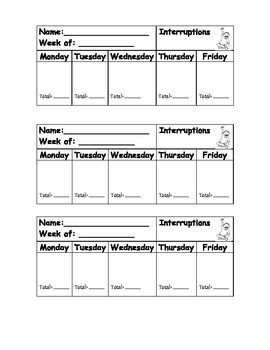 I had these sheets handy for students who had trouble with raising a hand or calling out. Some of my students did not even realize how much they called out until I had them keep track with this sheet. I would gesture to them to add a tally mark every time they called out. For most of the students, this sheet was all they needed. Once they recognized how much they actually do it, they were more aware of it and were able to control it better.